യൂറോപ്യൻ യൂണിയൻ രാജ്യങ്ങളിൽ ഫുഡ് അഡീറ്റീവുകളായി ഉപയോഗിക്കാൻ അനുമതിയുളള പദാർത്ഥങ്ങൾക്കു നൽകുന്ന പ്രത്യേകതരം കോഡാണ് E-നമ്പർ .E അക്ഷരം യൂറോപ്പ് എന്നതിന്റെ ചുരുക്കമാണ് .യൂറോപ്യൻ ഫുഡ് സേഫ്റ്റിയുടെ അനുമതി നേടിയിട്ടുളള പദാർത്ഥങ്ങൾ മാത്രമേ യൂറോപ്യൻ യൂണിയൻ രാജ്യങ്ങളിൽ ഭക്ഷ്യ വസ്തുക്കളിൽ ചേർക്കാൻ പാടുളളൂ. സ്വിറ്റ്സർലൻഡിലും E നമ്പറിംഗ് ഉപയോഗിക്കുന്നുണ്ട്.1962ൽ മുതൽ തുടങ്ങിയ ഈ സമ്പ്രദായം ഇപ്പോഴും തുടരുന്നു. ഓരോ ഫുഡ് അഡിറ്റീവിനെയും തിരിച്ചറിയാൻ ഇത് സഹായിക്കുന്നു. ഈ പട്ടികയിൽ എല്ലാ മൂലകങ്ങളുടെയും ഇ-നമ്പർ നല്കിയിരിക്കുന്നു. എല്ലാ അഡിറ്റീവ്സിനെയും ഇയു പട്ടികയിലുൾപ്പെടുത്തിയിട്ടില്ല. എന്നാൽ അവയ്ക്കെല്ലാം ഒരു ഇ-നമ്പർ നല്കിയിട്ടുണ്ട്. ഇ-നമ്പറിനെ കുറിച്ചുള്ള വിശദാംശങ്ങൾ നല്കുന്നത് യു.കെ.യിലെ ഫുഡ് സ്റ്റാൻഡേർഡ് ഓഫ് ഏജൻസിയാണ്. E100 Curcumin (from turmeric) മഞ്ഞ-ഓറഞ്ച് Approved in the EU. Approved in the US. 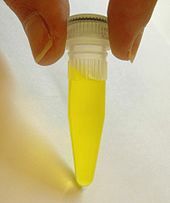 E101 Riboflavin (Vitamin B2), formerly called lactoflavin മഞ്ഞ-ഓറഞ്ച് Approved in the EU. Approved in the US. E101a Riboflavin-5'-Phosphate മഞ്ഞ-ഓറഞ്ച് Approved in the EU. E102 Tartrazine (FD&C Yellow 5) ലെമൻ യെല്ലോ Approved in the EU. Approved in the US. E110 Sunset Yellow FCF (Orange Yellow S, FD&C Yellow 6) മഞ്ഞ-ഓറഞ്ച് Approved in the EU. Banned in Norway. Products in the EU require warnings and its use is being phased out. [അവലംബം ആവശ്യമാണ്] Approved in the US. E120 Cochineal, Carminic acid, Carmine (Natural Red 4) ക്രിംസൺ Approved in the EU. Approved in the US. E121 Citrus Red 2 ഡാർക്ക് റെഡ് Approved in the United States only for use in colouring the skin of oranges. E124 Ponceau 4R (Cochineal Red A, Brilliant Scarlet 4R) റെഡ് Approved in the EU. E125 Ponceau SX, Scarlet GN റെഡ് Only permitted for externally applied drugs and cosmetics in the US. E127 Erythrosine (FD&C Red 3) റെഡ് Approved in the EU. Approved in the US except for lake variant. E129 Allura Red AC (FD&C Red 40) റെഡ് Approved in the EU. Banned in Switzerland[അവലംബം ആവശ്യമാണ്]. Undergoing a voluntary phase out in the UK. Approved in the US. E131 Patent Blue V ഡാർക്ക് ബ്ളൂ Approved in the EU. E132 Indigo carmine (indigotine, FD&C Blue 2) ഇൻഡിഗോ Approved in the EU. Approved in the US. E133 Brilliant Blue FCF (FD&C Blue 1) റെഡ്ഡിഷ് ബ്ളൂ Approved in the EU. Approved in the US. E140 Chlorophylls and Chlorophyllins: (i) Chlorophylls (ii) Chlorophyllins ഗ്രീൻ Approved in the EU. E141 Copper complexes of chlorophylls and chlorophyllins (i) Copper complexes of chlorophylls (ii) Copper complexes of chlorophyllins ഗ്രീൻ Approved in the EU. Approved in the US. E142 Green S ഗ്രീൻ Approved in the EU. E143 Fast Green FCF (FD&C Green 3) സീ ഗ്രീൻ Approved in the US. Banned in the EU. E150a Plain caramel ബ്രൗൺ Approved in the EU. Approved in the US. E150b Caustic sulphite caramel ബ്രൗൺ Approved in the EU. Approved in the US. E150c Ammonia caramel ബ്രൗൺ Approved in the EU. Approved in the US. E150d Sulphite ammonia caramel ബ്രൗൺ Approved in the US. E151 Black PN, Brilliant Black BN ബ്ളാക്ക് Approved in the EU. E153 Vegetable carbon ബ്ളാക്ക് Approved in the EU. E154 Brown FK (kipper brown) ബ്രൗൺ Approved in the EU for dyeing kippers only, however appears to no longer be used. E155 Brown HT (chocolate brown HT) ബ്രൗൺ Approved in the EU. E160a Alpha-carotene, Beta-carotene, Gamma-carotene മഞ്ഞ-ഓറഞ്ച്- ബ്രൗൺ Approved in the EU. E160b Annatto, bixin, norbixin ഓറഞ്ച് Approved in the EU. Approved in the US. E160c Paprika oleoresin, Capsanthin, capsorubin റെഡ് Approved in the EU. Approved in the US. E160d Lycopene ഡീപ് റെഡ് Approved in the EU. Approved in the US. E160e Beta-apo-8'-carotenal (C 30) ഓറഞ്ച്-റെഡ്- മഞ്ഞ Approved in the EU. Approved in the US. E160f Ethyl ester of beta-apo-8'-carotenic acid (C 30) ഓറഞ്ച്-റെഡ് -മഞ്ഞ Approved in the EU. E161b Lutein ഓറഞ്ച്-റെഡ്- മഞ്ഞ Approved in the EU. E161g Canthaxanthin വയലറ്റ് Approved in the EU. Approved in the US. E162 Beetroot Red, Betanin റെഡ് Approved in the EU. Approved in the US. E163 Anthocyanins pH dependent(Red, green and purple ranges) Approved in the EU. E164 Saffron Orange-red[colour?] Approved in the US. E170 Calcium carbonate, Chalk വൈറ്റ് Approved in the EU. E171 Titanium dioxide വൈറ്റ് Approved in the EU. Approved in the US. E172 Iron oxides and iron hydroxides ബ്രൗൺ Approved in the EU. Approved in the US for sausage casings. E173 Aluminium സിൽവർ- ഗ്രെ Approved in the EU. E174 Silver സിൽവർ Approved in the EU. E175 Gold ഗോൾഡ് Approved in the EU. E180 Pigment Rubine, Lithol Rubine BK റെഡ് Approved in the EU. E200 Sorbic acid preservative Approved in the EU. E202 Potassium sorbate preservative Approved in the EU. E203 Calcium sorbate preservative Approved in the EU. E210 Benzoic acid preservative Approved in the EU. E211 Sodium benzoate preservative Approved in the EU. E212 Potassium benzoate preservative Approved in the EU. E213 Calcium benzoate preservative Approved in the EU. E214 Ethylparaben (ethyl para-hydroxybenzoate) preservative Approved in the EU. E215 Sodium ethyl para-hydroxybenzoate preservative Approved in the EU. E218 Methylparaben (methyl para-hydroxybenzoate) preservative Approved in the EU. E219 Sodium methyl para-hydroxybenzoate preservative Approved in the EU. E220 Sulphur dioxide preservative Approved in the EU. E221 Sodium sulphite preservative Approved in the EU. E222 Sodium bisulphite (sodium hydrogen sulphite) preservative Approved in the EU. E223 Sodium metabisulphite preservative Approved in the EU. E224 Potassium metabisulphite preservative Approved in the EU. E226 Calcium sulphite preservative Approved in the EU. E227 Calcium hydrogen sulphite (preservative) firming agent Approved in the EU. E228 Potassium hydrogen sulphite preservative Approved in the EU. E230 Biphenyl, diphenyl preservative Approved in the EU. E232 Sodium orthophenyl phenol preservative Approved in the EU. E234 Nisin preservative Approved in the EU. E235 Natamycin, Pimaracin preservative Approved in the EU. E239 Hexamine (hexamethylene tetramine) preservative Approved in the EU. E242 Dimethyl dicarbonate preservative Approved in the EU. E249 Potassium nitrite preservative Approved in the EU. E250 Sodium nitrite preservative Approved in the EU. E251 Sodium nitrate (Chile saltpeter) preservative Approved in the EU. E252 Potassium nitrate (Saltpetre) preservative Approved in the EU. E260 Acetic acid (preservative) acidity regulator Approved in the EU. E261 Potassium acetate (preservative) acidity regulator Approved in the EU. E262 Sodium acetates (i) Sodium acetate (ii) Sodium diacetate (sodium hydrogen acetate) preservative, acidity regulator Approved in the EU. E263 Calcium acetate (preservative) acidity regulator Approved in the EU. E270 Lactic acid (preservative) antioxidant Approved in the EU. E280 Propionic acid preservative Approved in the EU. E281 Sodium propionate preservative Approved in the EU. E282 Calcium propionate preservative Approved in the EU. E283 Potassium propionate preservative Approved in the EU. E284 Boric acid preservative Approved in the EU. E285 Sodium tetraborate (borax) preservative Approved in the EU. E290 Carbon dioxide acidity regulator Approved in the EU. E296 Malic acid (acid) acidity regulator Approved in the EU. E297 Fumaric acid acidity regulator Approved in the EU. E300 Ascorbic acid (Vitamin C) antioxidant Approved in the EU. E301 Sodium ascorbate antioxidant Approved in the EU. E302 Calcium ascorbate antioxidant Approved in the EU. E304 Fatty acid esters of ascorbic acid (Ascorbyl palmitate) antioxidant Approved in the EU. E306 Tocopherols (Vitamin E, natural) antioxidant Approved in the EU. E307 Alpha-Tocopherol (synthetic) antioxidant Approved in the EU. E308 Gamma-Tocopherol (synthetic) antioxidant Approved in the EU. E309 Delta-Tocopherol (synthetic) antioxidant Approved in the EU. E310 Propyl gallate antioxidant Approved in the EU. E311 Octyl gallate antioxidant Approved in the EU. E312 Dodecyl gallate antioxidant Approved in the EU. E315 Erythorbic acid antioxidant Approved in the EU. E316 Sodium erythorbate antioxidant Approved in the EU. E319 tert-Butylhydroquinone (TBHQ) antioxidant Approved in the EU. E320 Butylated hydroxyanisole (BHA) antioxidant Approved in the EU. E321 Butylated hydroxytoluene (BHT) antioxidant Approved in the EU. E322 Lecithin emulsifier Approved in the EU. E325 Sodium lactate acidity regulator Approved in the EU. E326 Potassium lactate (antioxidant) acidity regulator Approved in the EU. E327 Calcium lactate acidity regulator Approved in the EU. E330 Citric acid acid, acidity regulator Approved in the EU. E331 Sodium citrates (i) Monosodium citrate (ii) Disodium citrate (iii) Sodium citrate (trisodium citrate) acidity regulator Approved in the EU. E332 Potassium citrates (i) Monopotassium citrate (ii) Potassium citrate (tripotassium citrate) acidity regulator Approved in the EU. E333 Calcium citrates (i) Monocalcium citrate (ii) Dicalcium citrate (iii) Calcium citrate (tricalcium citrate) acidity regulator, firming agent, sequestrant Approved in the EU. E334 Tartaric acid (L(+)-) (acid) Approved in the EU. E335 Sodium tartrates (i) Monosodium tartrate (ii), Disodium tartrate acidity regulator Approved in the EU. E336 Potassium tartrates (i) Monopotassium tartrate (cream of tartar) (ii) Dipotassium tartrate acidity regulator Approved in the EU. E337 Sodium potassium tartrate acidity regulator Approved in the EU. E338 Orthophosphoric acid acid Approved in the EU. E339 Sodium phosphates (i) Monosodium phosphate (ii) Disodium phosphate (iii) Trisodium phosphate antioxidant Approved in the EU. E340 Potassium phosphates (i) Monopotassium phosphate (ii) Dipotassium phosphate (iii) Tripotassium phosphate antioxidant Approved in the EU. E341 Calcium phosphates (i) Monocalcium phosphate (ii) Dicalcium phosphate (iii) Tricalcium phosphate anti-caking agent, firming agent Approved in the EU. E343 Magnesium phosphates (i) monomagnesium phosphate (ii) Dimagnesium phosphate anti-caking agent Approved in the EU. This additive is under discussion and may be included in a future amendment to the Directive on miscellaneous additives. E350 Sodium malates (i) Sodium malate (ii) Sodium hydrogen malate acidity regulator Approved in the EU. E351 Potassium malate acidity regulator Approved in the EU. E352 Calcium malates (i) Calcium malate (ii) Calcium hydrogen malate acidity regulator Approved in the EU. E353 Metatartaric acid emulsifier Approved in the EU. E354 Calcium tartrate emulsifier Approved in the EU. E355 Adipic acid acidity regulator Approved in the EU. E356 Sodium adipate acidity regulator Approved in the EU. E357 Potassium adipate acidity regulator Approved in the EU. E363 Succinic acid acidity regulator Approved in the EU. E380 Triammonium citrate acidity regulator Approved in the EU. E385 Calcium disodium ethylene diamine tetraacetate, (Calcium disodium EDTA) sequestrant Approved in the EU. E400 Alginic acid (thickener) (stabiliser) (gelling agent) emulsifier Approved in the EU. E401 Sodium alginate (thickener) (stabiliser) (gelling agent) emulsifier Approved in the EU. E402 Potassium alginate (thickener) (stabiliser) (gelling agent) emulsifier Approved in the EU. E403 Ammonium alginate (thickener) (stabiliser) emulsifier Approved in the EU. E404 Calcium alginate (thickener) (stabiliser) (gelling agent) emulsifier Approved in the EU. E405 Propane-1,2-diol alginate (Propylene glycol alginate) (thickener) (stabiliser) emulsifier Approved in the EU. E406 Agar (thickener) (gelling agent) stabiliser Approved in the EU. E407 Carrageenan (thickener) (stabiliser) (gelling agent) emulsifier Approved in the EU. E407a Processed eucheuma seaweed (thickener) (stabiliser) (gelling agent) emulsifier Approved in the EU. E410 Locust bean gum (Carob gum) (thickener) (stabiliser) (gelling agent) emulsifier Approved in the EU. E412 Guar gum (thickener) stabiliser Approved in the EU. E413 Tragacanth (thickener) (stabiliser) emulsifier Approved in the EU. E414 Acacia gum (gum arabic) (thickener) (stabiliser) emulsifier Approved in the EU. E415 Xanthan gum (thickener) stabiliser Approved in the EU. E416 Karaya gum (thickener) (stabiliser) emulsifier Approved in the EU. E417 Tara gum (thickener) stabiliser Approved in the EU. E418 Gellan gum (thickener) (stabiliser) emulsifier Approved in the EU. E420 Sorbitol (i) Sorbitol (ii) Sorbitol syrup (emulsifier) (sweetener) humectant Approved in the EU. E421 Mannitol (anti-caking agent) sweetener Approved in the EU. E422 Glycerol (emulsifier) sweetener Approved in the EU. E426 Soybean hemicellulose Approved in the EU. E431 Polyoxyethene (40) stearate emulsifier Approved in the EU. E432 Polyoxyethene (20) sorbitan monolaurate (polysorbate 20) emulsifier Approved in the EU. E433 Polyoxyethene (20) sorbitan monooleate (polysorbate 80) emulsifier Approved in the EU. E434 Polyoxyethene (20) sorbitan monopalmitate (polysorbate 40) emulsifier Approved in the EU. E435 Polyoxyethene (20) sorbitan monostearate (polysorbate 60) emulsifier Approved in the EU. E436 Polyoxyethene (20) sorbitan tristearate (polysorbate 65) emulsifier Approved in the EU. E440 Pectins (i) pectin (ii) amidated pectin emulsifier Approved in the EU. E442 Ammonium phosphatides emulsifier Approved in the EU. E445 Glycerol esters of wood rosins emulsifier Approved in the EU. E450 Diphosphates (i) Disodium diphosphate (ii) Trisodium diphosphate (iii) Tetrasodium diphosphate (iv) Dipotassium diphosphate (v) Tetrapotassium diphosphate (vi) Dicalcium diphosphate (vii) Calcium dihydrogen diphosphate emulsifier Approved in the EU. E451 Triphosphates (i) Sodium triphosphate (pentasodium triphosphate) (ii) Pentapotassium triphosphate emulsifier Approved in the EU. E452 Polyphosphates (i) Sodium polyphosphates (ii) Potassium polyphosphates (iii) Sodium calcium polyphosphate (iv) Calcium polyphosphates (v) Ammonium polyphosphate emulsifier Approved in the EU. E459 Beta-cyclodextrin emulsifier Approved in the EU. E460 Cellulose (i) Microcrystalline cellulose (ii) Powdered cellulose emulsifier Approved in the EU. E461 Methyl cellulose emulsifier Approved in the EU. E462 Ethyl cellulose emulsifier Approved in the EU. E463 Hydroxypropyl cellulose emulsifier Approved in the EU. E464 Hypromellose (hydroxypropyl methylcellulose) emulsifier Approved in the EU. E465 Ethyl methyl cellulose emulsifier Approved in the EU. E466 Carboxymethyl cellulose, Sodium carboxymethyl cellulose emulsifier Approved in the EU. E469 Enzymically hydrolysed carboxymethylcellulose emulsifier Approved in the EU. E470a Sodium, potassium and calcium salts of fatty acids (emulsifier) anti-caking agent Approved in the EU. E470b Magnesium salts of fatty acids (emulsifier) anti-caking agent Approved in the EU. E471 Mono- and diglycerides of fatty acids (glyceryl monostearate, glyceryl distearate) emulsifier Approved in the EU. E472a Acetic acid esters of mono- and diglycerides of fatty acids emulsifier Approved in the EU. E472b Lactic acid esters of mono- and diglycerides of fatty acids emulsifier Approved in the EU. E472c Citric acid esters of mono- and diglycerides of fatty acids emulsifier Approved in the EU. E472d Tartaric acid esters of mono- and diglycerides of fatty acids emulsifier Approved in the EU. E472e Mono- and diacetyl tartaric acid esters of mono- and diglycerides of fatty acids emulsifier Approved in the EU. E472f Mixed acetic and tartaric acid esters of mono- and diglycerides of fatty acids emulsifier Approved in the EU. E473 Sucrose esters of fatty acids emulsifier Approved in the EU. E474 Sucroglycerides emulsifier Approved in the EU. E475 Polyglycerol esters of fatty acids emulsifier Approved in the EU. E476 Polyglycerol polyricinoleate emulsifier Approved in the EU. E477 Propane-1,2-diol esters of fatty acids, propylene glycol esters of fatty acids emulsifier Approved in the EU. E479b Thermally oxidized soya bean oil interacted with mono- and diglycerides of fatty acids emulsifier Approved in the EU. E481 Sodium stearoyl-2-lactylate emulsifier Approved in the EU. E482 Calcium stearoyl-2-lactylate emulsifier Approved in the EU. E483 Stearyl tartrate emulsifier Approved in the EU. E491 Sorbitan monostearate emulsifier Approved in the EU. E492 Sorbitan tristearate emulsifier Approved in the EU. E493 Sorbitan monolaurate emulsifier Approved in the EU. E494 Sorbitan monooleate emulsifier Approved in the EU. E495 Sorbitan monopalmitate emulsifier Approved in the EU. E500 Sodium carbonates (i) Sodium carbonate (ii) Sodium bicarbonate (Sodium hydrogen carbonate) (iii) Sodium sesquicarbonate (acidity regulator) raising agent Approved in the EU. E501 Potassium carbonates (i) Potassium carbonate (ii) Potassium bicarbonate (Potassium hydrogen carbonate) acidity regulator Approved in the EU. E503 Ammonium carbonates (i) Ammonium carbonate (ii) Ammonium bicarbonate (Ammonium hydrogen carbonate) acidity regulator Approved in the EU. E504 Magnesium carbonates (i) Magnesium carbonate (ii) Magnesium bicarbonate Magnesium hydrogen carbonate acidity regulator, anti-caking agent Approved in the EU. E507 Hydrochloric acid acid Approved in the EU. E508 Potassium chloride (gelling agent) seasoning Approved in the EU. E509 Calcium chloride (sequestrant) firming agent Approved in the EU. E511 Magnesium chloride firming agent Approved in the EU. E512 Stannous chloride antioxidant Approved in the EU. E513 Sulphuric acid acid Approved in the EU. E514 Sodium sulphates (i) Sodium sulphate (ii) acid Approved in the EU. E515 Potassium Sulphates (i) Potassium Sulphate (ii) Approved in the EU. E516 Calcium sulphate Approved in the EU. E517 Ammonium sulphate acidity regulator Approved in the EU. E520 Aluminium sulphate firming agent Approved in the EU. E521 Aluminium sodium sulphate firming agent Approved in the EU. E522 Aluminium potassium sulphate acidity regulator Approved in the EU. E523 Aluminium ammonium sulphate acidity regulator Approved in the EU. E524 Sodium hydroxide acidity regulator Approved in the EU. E525 Potassium hydroxide acidity regulator Approved in the EU. E526 Calcium hydroxide (acidity regulator) firming agent Approved in the EU. E527 Ammonium hydroxide acidity regulator Approved in the EU. E528 Magnesium hydroxide acidity regulator Approved in the EU. E529 Calcium oxide (acidity regulator) improving agent Approved in the EU. E530 Magnesium oxide (acidity regulator) anti-caking agent Approved in the EU. E535 Sodium ferrocyanide (acidity regulator) anti-caking agent Approved in the EU. E536 Potassium ferrocyanide anti-caking agent Approved in the EU. E538 Calcium ferrocyanide anti-caking agent Approved in the EU. E541 Sodium aluminium phosphate (i) Acidic (ii) Basic emulsifier Approved in the EU. E551 Silicon dioxide (Silica) anti-caking agent Approved in the EU. E552 Calcium silicate anti-caking agent Approved in the EU. E553a (i) Magnesium silicate (ii) Magnesium trisilicate anti-caking agent Approved in the EU. E553b Talc anti-caking agent Approved in the EU. E554 Sodium aluminosilicate (sodium aluminium silicate) anti-caking agent Approved in the EU. E555 Potassium aluminium silicate anti-caking agent Approved in the EU. E556 Calcium aluminosilicate (calcium aluminium silicate) anti-caking agent Approved in the EU. E559 Aluminium silicate (Kaolin) anti-caking agent Approved in the EU. E570 Fatty acids anti-caking agent Approved in the EU. E574 Gluconic acid acidity regulator Approved in the EU. E575 Glucono delta-lactone (acidity regulator) sequestrant Approved in the EU. E576 Sodium gluconate sequestrant Approved in the EU. E577 Potassium gluconate sequestrant Approved in the EU. E578 Calcium gluconate firming agent Approved in the EU. E579 Ferrous gluconate food colouring Approved in the EU. E585 Ferrous lactate food colouring Approved in the EU. E586 4-Hexylresorcinol antioxidant Approved in the EU. E620 Glutamic acid flavour enhancer Approved in the EU. E621 Monosodium glutamate (MSG) flavour enhancer Approved in the EU. E622 Monopotassium glutamate flavour enhancer Approved in the EU. E623 Calcium diglutamate flavour enhancer Approved in the EU. E624 Monoammonium glutamate flavour enhancer Approved in the EU. E625 Magnesium diglutamate flavour enhancer Approved in the EU. E626 Guanylic acid flavour enhancer Approved in the EU. E627 Disodium guanylate, sodium guanylate flavour enhancer Approved in the EU. E628 Dipotassium guanylate flavour enhancer Approved in the EU. E629 Calcium guanylate flavour enhancer Approved in the EU. E630 Inosinic acid flavour enhancer Approved in the EU. E631 Disodium inosinate flavour enhancer Approved in the EU. E632 Dipotassium inosinate flavour enhancer Approved in the EU. E633 Calcium inosinate flavour enhancer Approved in the EU. E634 Calcium 5'-ribonucleotides flavour enhancer Approved in the EU. E635 Disodium 5'-ribonucleotides flavour enhancer Approved in the EU. E640 Glycine and its sodium salt flavour enhancer Approved in the EU. E650 Zinc acetate flavour enhancer Approved in the EU. E900 Dimethyl polysiloxane (anti-foaming agent) anti-caking agent Approved in the EU. E901 Beeswax, white and yellow glazing agent Approved in the EU. E902 Candelilla wax glazing agent Approved in the EU. E903 Carnauba wax glazing agent Approved in the EU. E904 Shellac glazing agent Approved in the EU. E905 Paraffins Approved in the EU. E912 Montanic acid esters, Montan acid esters glazing agent Approved in the EU. E914 Oxidized polyethylene wax, oxidized polyethylene glazing agent Approved in the EU. E920 L-cysteine improving agent Approved in the EU. E927b Carbamide (urea) improving agent Approved in the EU. E938 Argon packaging gas Approved in the EU. E939 Helium packaging gas Approved in the EU. E940 Dichlorodifluoromethane packaging gas Banned in all countries, in compliance with the Montreal Protocol. E941 Nitrogen (packaging gas) propellant Approved in the EU. E942 Nitrous oxide propellant Approved in the EU. E943a Butane propellant Approved in the EU. E943b Isobutane propellant Approved in the EU. E944 Propane propellant Approved in the EU. E948 Oxygen packaging gas Approved in the EU. E949 Hydrogen packaging gas Approved in the EU. E950 Acesulfame potassium sweetener Approved in the EU. E951 Aspartame sweetener Approved in the EU. E952 Cyclamic acid and its sodium and calcium salts, also known as Cyclamate sweetener Approved in the EU. E953 Isomalt, Isomaltitol sweetener Approved in the EU. E954 Saccharin and its sodium, potassium and calcium salts sweetener Approved in the EU. E955 Sucralose (Trichlorogalactosucrose) sweetener Approved in the EU. E957 Thaumatin (sweetener) flavour enhancer Approved in the EU. E959 Neohesperidine dihydrochalcone (sweetener) flavour enhancer Approved in the EU. E960 Steviol glycosides sweetener Approved in the EU. E962 Aspartame-acesulfame salt (sweetener) stabiliser Approved in the EU. E965 Maltitol (i) Maltitol (ii) Maltitol syrup (sweetener) (stabiliser) humectant Approved in the EU. E966 Lactitol sweetener Approved in the EU. E967 Xylitol sweetener Approved in the EU. E968 Erythritol sweetener Approved in the EU. E999 Quillaia extract foaming agent Approved in the EU. E1103 Invertase stabiliser Approved in the EU. E1200 Polydextrose stabiliser, thickening agent, humectant, carrier Approved in the EU. E1201 Polyvinylpyrrolidone stabiliser Approved in the EU. E1202 Polyvinylpolypyrrolidone (carrier) stabiliser Approved in the EU. E1204 Pullulan Approved in the EU. E1404 Oxidized starch (emulsifier) thickening agent Approved in the EU. E1410 Monostarch phosphate (stabiliser) thickening agent Approved in the EU. E1412 Distarch phosphate esterified with sodium trimetasphosphate; esterified with phosphorus oxychloride (stabiliser) thickening agent Approved in the EU. E1413 Phosphated distarch phosphate (stabiliser) thickening agent Approved in the EU. E1414 Acetylated distarch phosphate (emulsifier) thickening agent Approved in the EU. E1420 Starch acetate esterified with acetic anhydride (stabiliser) thickening agent Approved in the EU. E1422 Acetylated distarch adipate (stabiliser) thickening agent Approved in the EU. E1440 Hydroxy propyl starch (emulsifier) thickening agent Approved in the EU. E1442 Hydroxy propyl distarch phosphate (stabiliser) thickening agent Approved in the EU. E1450 Starch sodium octenyl succinate (emulsifier) (stabiliser) thickening agent Approved in the EU. E1451 Acetylated oxidised starch (emulsifier) thickening agent Approved in the EU. E1452 Starch aluminium octenyl succinate Approved in the EU. E1505 Triethyl citrate foam stabiliser Approved in the EU. E1518 Glyceryl triacetate or triacetin humectant Approved in the EU. E1520 Propylene glycol humectant Approved in the EU. ↑ "Food labels". Live Well. NHS Choices. Retrieved 26 December 2012. ↑ Snelson, Matthew. "Explainer: what are E numbers and should you avoid them in your diet?". The Conversation. Retrieved 2017-11-18. ↑ 5.00 5.01 5.02 5.03 5.04 5.05 5.06 5.07 5.08 5.09 5.10 5.11 5.12 5.13 5.14 5.15 5.16 5.17 5.18 5.19 5.20 5.21 5.22 5.23 5.24 5.25 5.26 5.27 5.28 5.29 5.30 5.31 5.32 5.33 5.34 5.35 5.36 5.37 5.38 5.39 5.40 5.41 5.42 5.43 5.44 5.45 5.46 5.47 5.48 5.49 5.50 5.51 5.52 5.53 5.54 5.55 5.56 5.57 5.58 5.59 5.60 5.61 5.62 5.63 5.64 5.65 5.66 5.67 5.68 5.69 5.70 5.71 5.72 5.73 5.74 5.75 5.76 5.77 5.78 5.79 5.80 5.81 5.82 5.83 5.84 5.85 5.86 "Current EU approved additives and their E Numbers". United Kingdom: Food Standards Agency. 2010. ശേഖരിച്ചത്: 26 November 2010. ↑ 6.00 6.01 6.02 6.03 6.04 6.05 6.06 6.07 6.08 6.09 6.10 6.11 6.12 6.13 6.14 6.15 6.16 6.17 6.18 6.19 6.20 6.21 6.22 "Summary of Color Additives for Use in United States in Foods, Drugs, Cosmetics, and Medical Devices". United States Food and Drug Administration. ↑ "Food additives". CBC News. 29 September 2008. മൂലതാളിൽ നിന്നും 2013-09-09-ന് ആർക്കൈവ് ചെയ്തത്. ↑ Australia New Zealand Food Standards Code "Standard 1.2.4 - Labelling of ingredients". ശേഖരിച്ചത്: 2011-10-27. ↑ New Zealand Food Safety Authority. "Identifying Food Additives" (PDF). ശേഖരിച്ചത്: 6 December 2017. ഈ താൾ അവസാനം തിരുത്തപ്പെട്ടത്: 12:46, 30 ജനുവരി 2018.